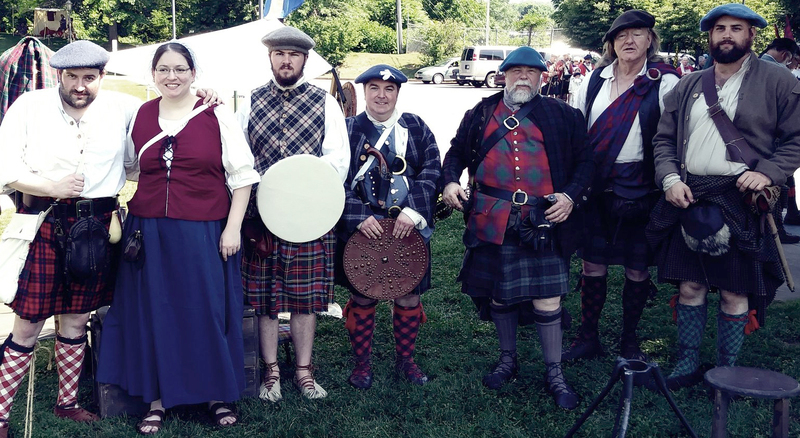 The Breacan Clann is a living history group at The Scottish Tartans Museum and Heritage Center, Inc. In keeping with their purpose to educate the public on the history of Highland dress, they have chosen visual medium in an engaging fashion. The represented historical dress is from the Medieval through the Jacobite period. Demonstrations include, Highland broadsword, Scottish crafts, and cultural discussions. Join Folkmoot for a Scottish Friendship Dinner and presentation on Friday, January 25, 2019 from 6:00 p.m. to 8:00 p.m. at the Folkmoot Friendship Center, located in the Historic Hazelwood School at 112 Virginia Avenue in Waynesville. Enjoy a traditional Scottish meal of sauteed cabbage, parsley potatoes, highland chicken with whiskey and cream sauce with shortbread cookies for dessert. Beer will be available for purchase from Bearwaters Brewing Company. Guests will convene to the Sam Love Queen Auditorium to enjoy Scottish music and a presentation of Scottish cultural fashion with the Breacan Clann.